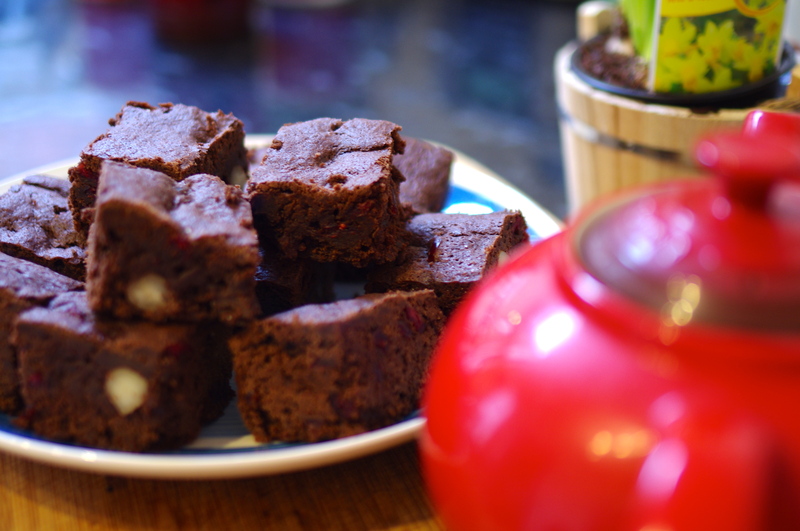 Valentines Chocolate, Cranberry and Macadamia Brownies. 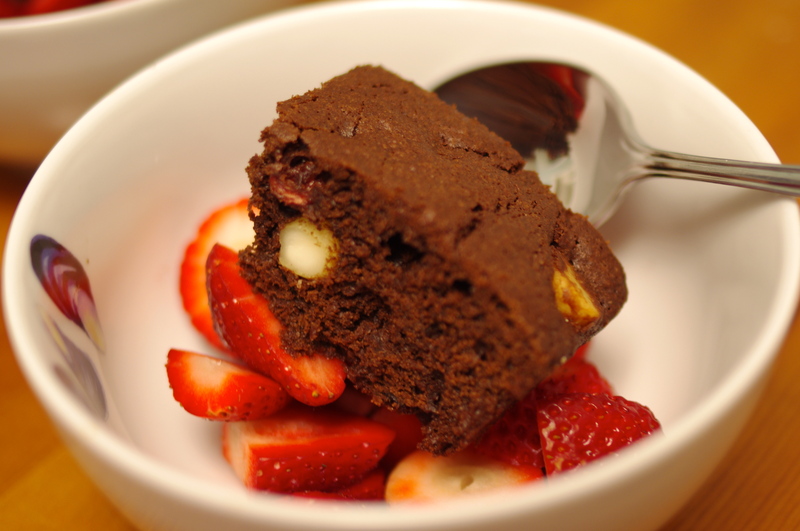 Use Valentines day as an excuse to make a deliciously rich and decadent take on the traditional brownie. Nothing says I love you like a homemade treat. Dark chocolate, juicy cranberries and macadamia nuts bring some lovely strong flavours to the mix. 150g good quality dark chocolate broken into chunks. 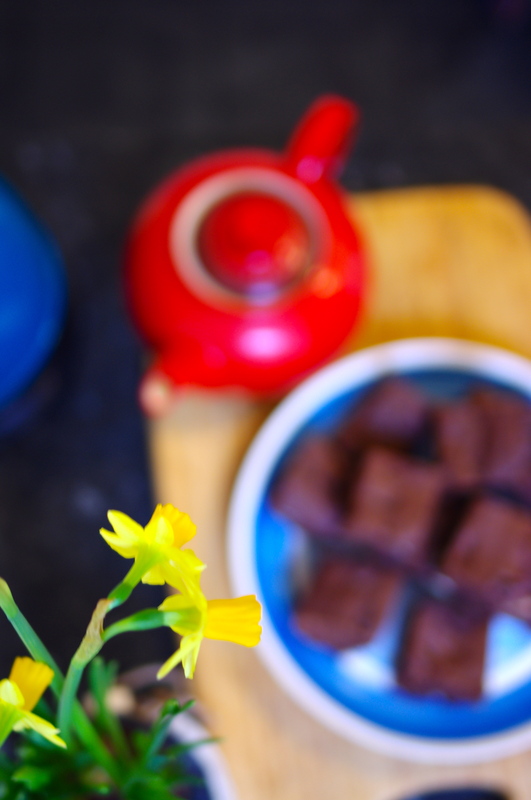 1) Preheat oven to 180C/160 fan/gas 4 and line a 20cm x 20cm baking tin or brownie tin with baking paper. 2) Melt the dark chocolate with the butter in the microwave. (Heat 2 mins the stir thoroughly). 3) Mix together flour, cocoa powder and sugar and stir in the melted chocolate and butter, followed by the eggs.